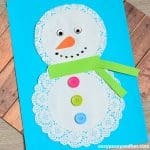 Time for jet another snowman! 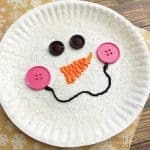 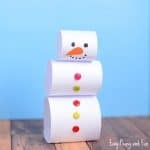 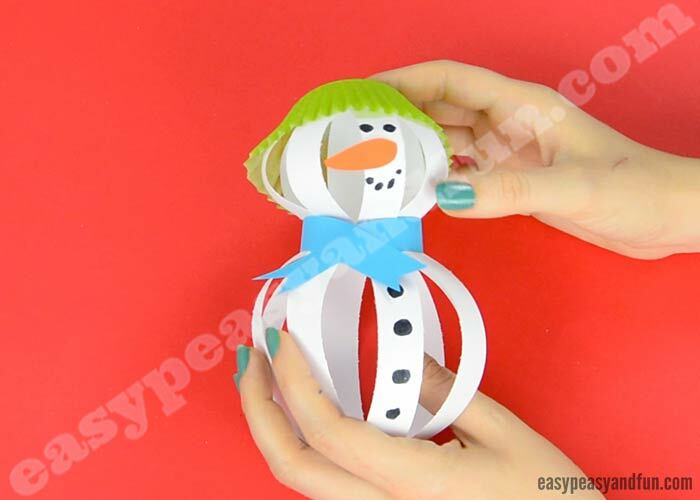 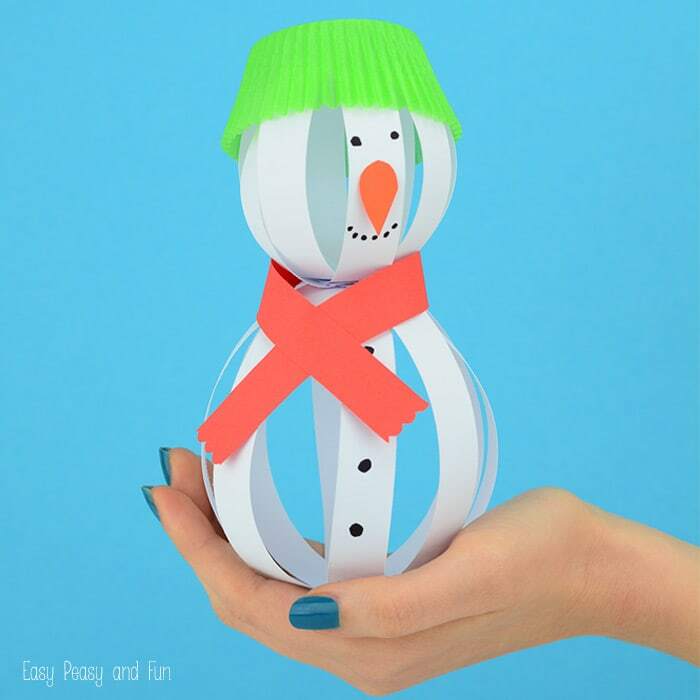 I’ve made a fun paper snowman craft, fun to make and fun to bounce around (think a bunch of these would also make a lovely garland). 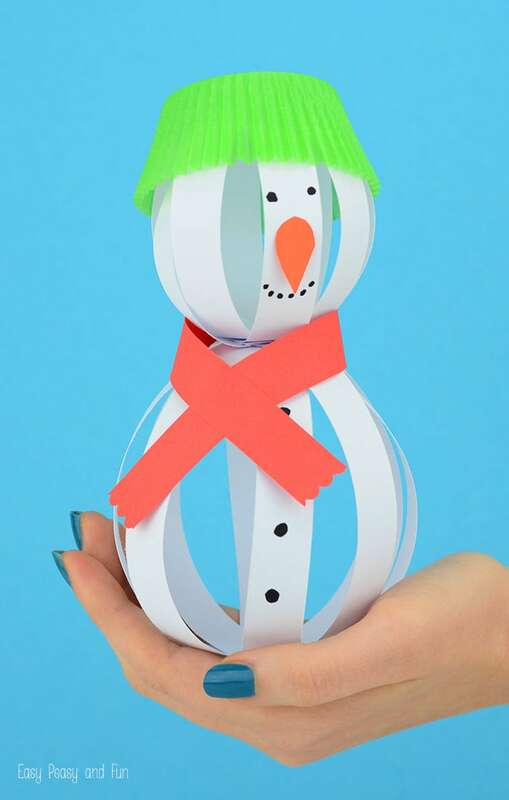 We love paper crafts, you don’t need a lot of materials and the things you can make… Endless possibilities! 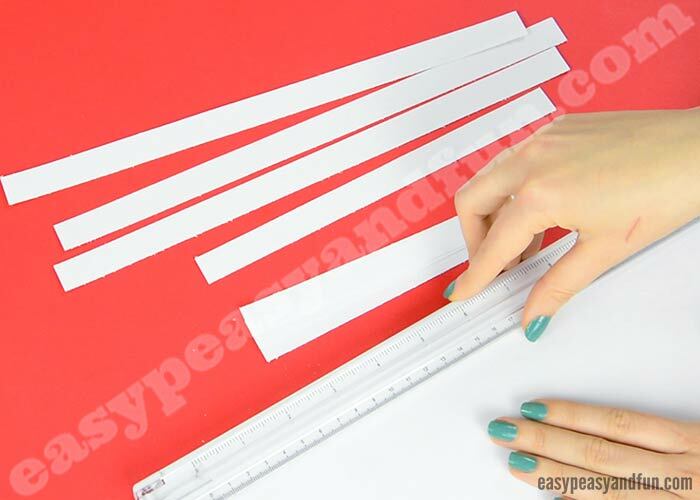 Start by cutting strips of paper in two lengths, I cut the strips by cutting across the sheets of white paper, one set cutting along the length and one set cutting along the width. 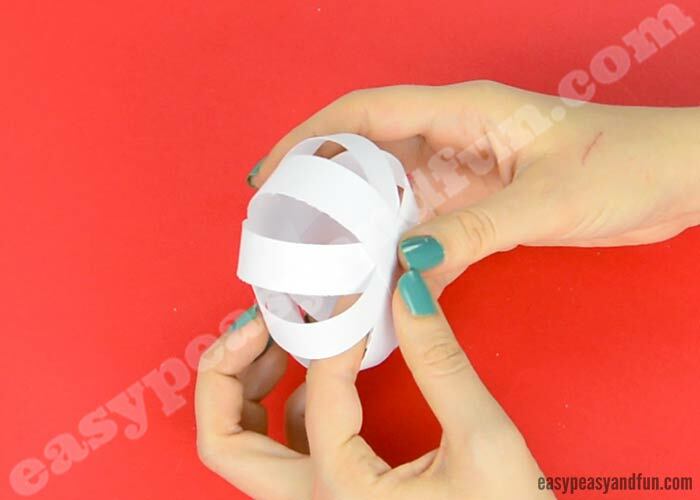 Now assemble the paper balls. 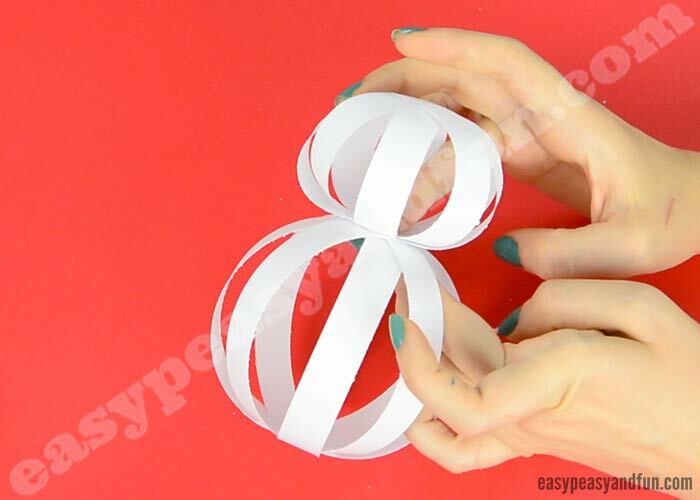 If you don’t know how you can check how we did it when making this paper ball garland, the procedure is the same, with the difference you’ll be making two balls for one snowman. 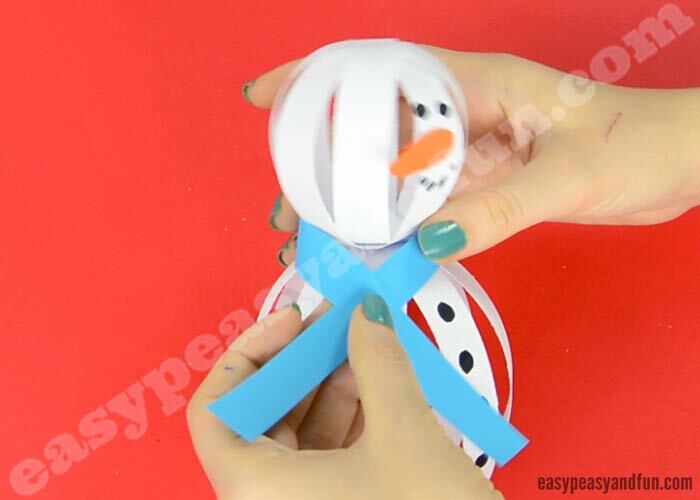 Draw on or stick on all the details, the eyes, nose and buttons. 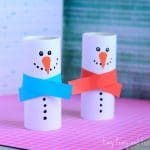 Cut a long strip of color paper and make a scarf. 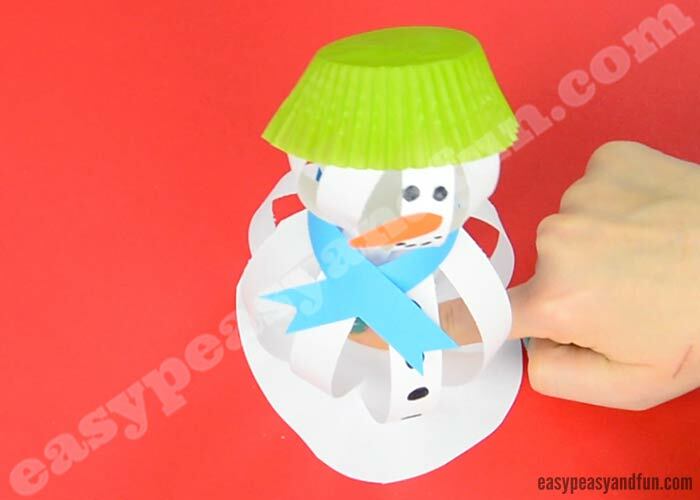 You can also use a cupcake liner as a hat, it looks kind of cute. 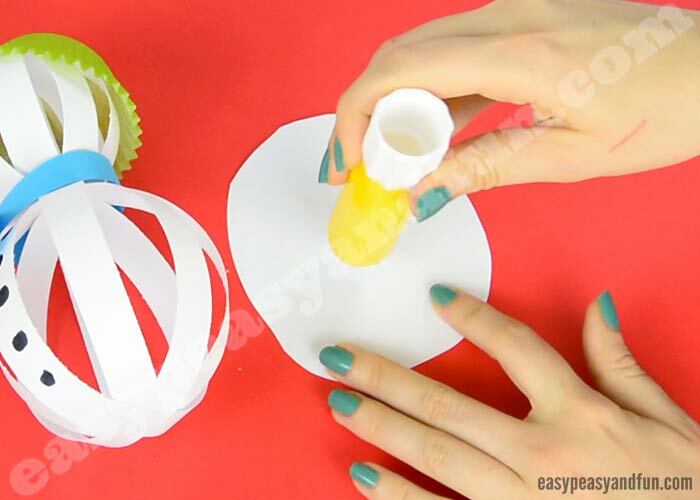 You can make a whole bunch of them and make a garland. 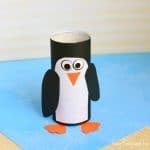 If you want them to stand on their own, put a coin or a small rock in the base to keep them balanced. 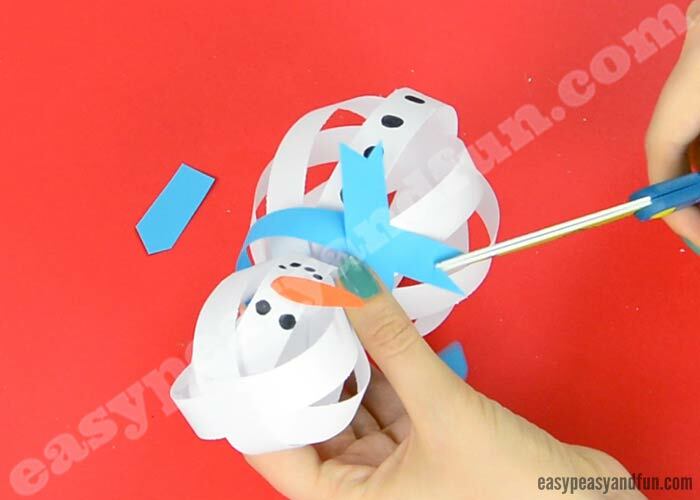 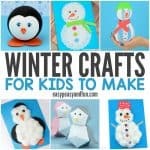 Or glue the snowman to a piece of paper.